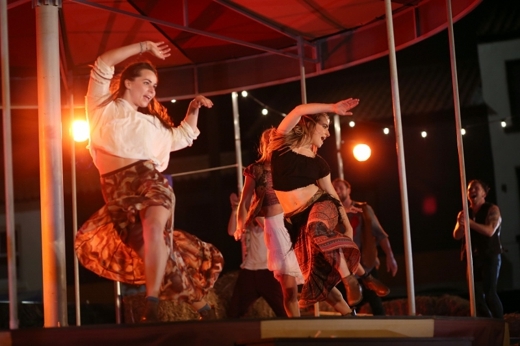 Southpaw Dance Company’s latest touring show is a spectacular and enthralling tale set in a fairground after dark and performed on and around a fully functioning 1900s carousel. 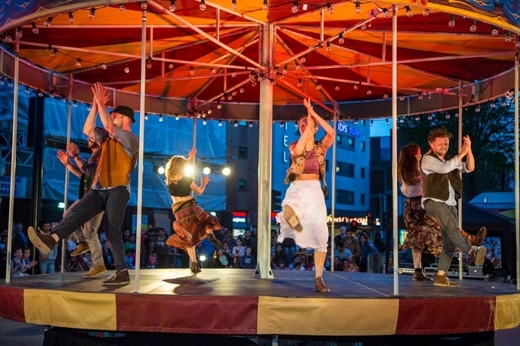 Commissioned in 2015 by Without Walls, Stockton International Riverside Festival, SO Festival Skegness and Appetite Stoke, CAROUSEL toured 9 festivals in summer 2015. 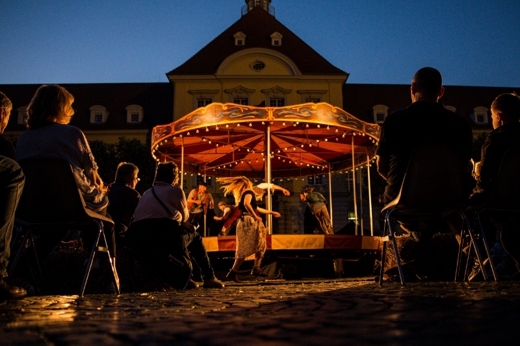 For 2016 it has been reworked to be performed fully in the round and is making its European premiere at Bildstörung Strassentheaterfestival Detmold on 13th May followed by a string of German festival dates – see the Tour Diary here . It is available for wider touring in 2016. Southpaw Dance Company - Carousel from Southpaw Company on Vimeo. Commissioned by Without Walls and Stockton International Riverside Festival. Co-commissioned by SO Festival, Skegness and Appetite, Stoke-on-Trent.